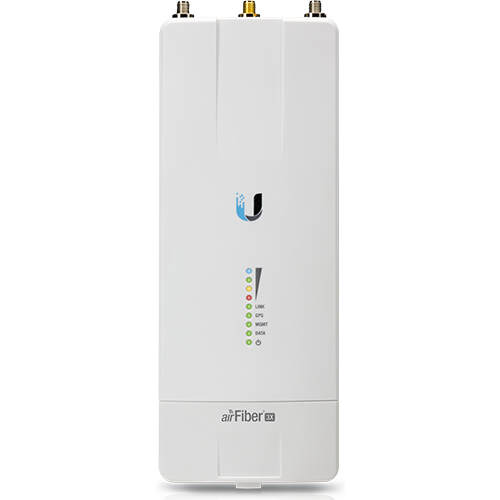 Ubiquiti Networks AF-3X US is part of the airFiber X family of point-to-point backhaul radios. 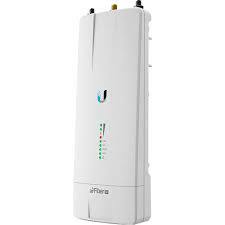 It operates on the 3GHz frequency, offering interference-free operation. A license is required and must be licensed with the FCC to operate this radio. Ubiquiti’s INVICTUS™ custom silicon and proprietary radio architecture are designed specifically for long-distance, outdoor wireless applications. 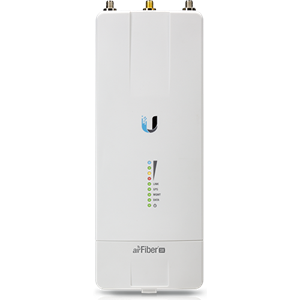 The compact form factor allows the airFiber X to be used with airFiber Slant 45 antennas, or instantly upgrade a 5 GHz Rocket™link that uses a RocketDish™RD-5G30/RD-5G34* antenna. Deploy the 2.4, 3, 4, 5 or 11 GHz model that meets your specific spectrum requirements, anywhere around the world. The airFiber X features multiple channel width options to suit your deployment needs – up to 11 different channel sizes available for the AF-2X or AF-3X. Channel width flexibility allows you to independently configure TX and RX channel frequencies and place them anywhere within the radio band to avoid local interference. You also have the ability to program different uplink and downlink duty cycles to support asymmetric traffic requirements.